Today it feels like summer! Thunderstorms all night last night, and it’s stormy and almost 80 degrees right now. After the rain, the fields and prairies, and even the trees, are starting to get a little haze of green. For the last week we’ve been seeing Sandhill Cranes. One was calling from a wet area just south of us, and a few days later he had attracted a mate. As I was driving by, I saw them ‘dancing’ – the first time I’ve ever seen cranes doing their mating dance. By the time I stopped the car and got out the camera, of course, they’d stopped. But they seem to be hanging around the same spot. 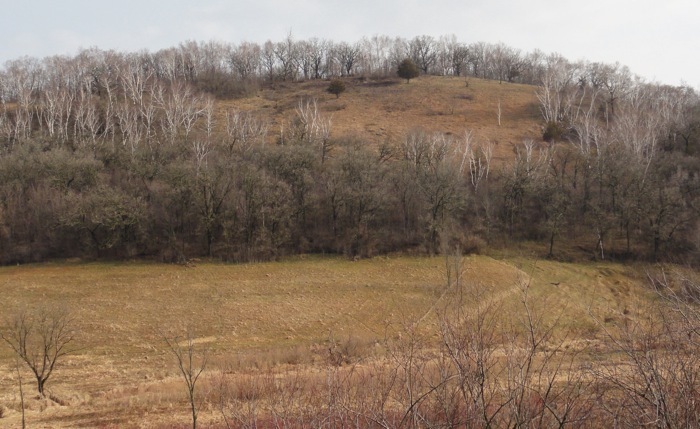 Now if they’d only move a little farther north onto our land…. 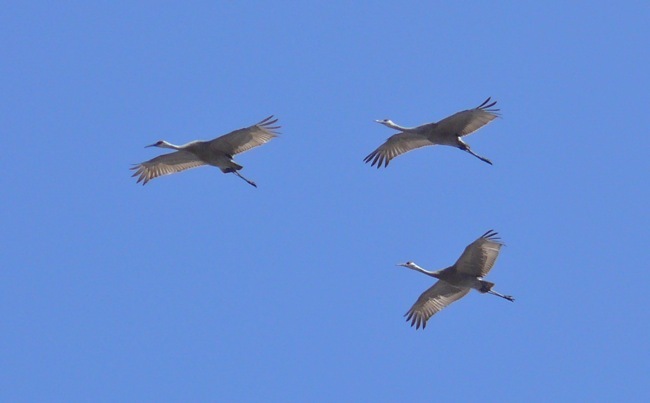 These 3 Sandhills were circling above Sumac Prairie. 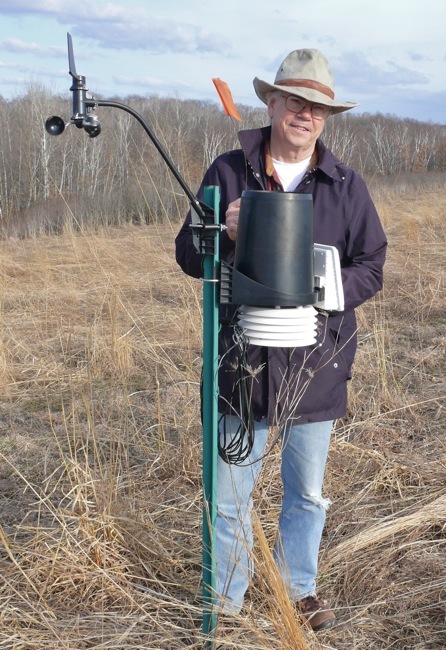 Mike fixed the weather station – so we can finally see accurate wind directions. The flag he’s holding is our tool for cleaning out the hole in the rain gauge. The gauge is one of the bluebirds’ favorite perches, and the hole gets filled with bird droppings. It needs cleaning every few days – we don’t always get there that often so sometimes our rain measurements are a little odd. Still no flowers, but lots of good bugs. This is a Bumble Flower Beetle. 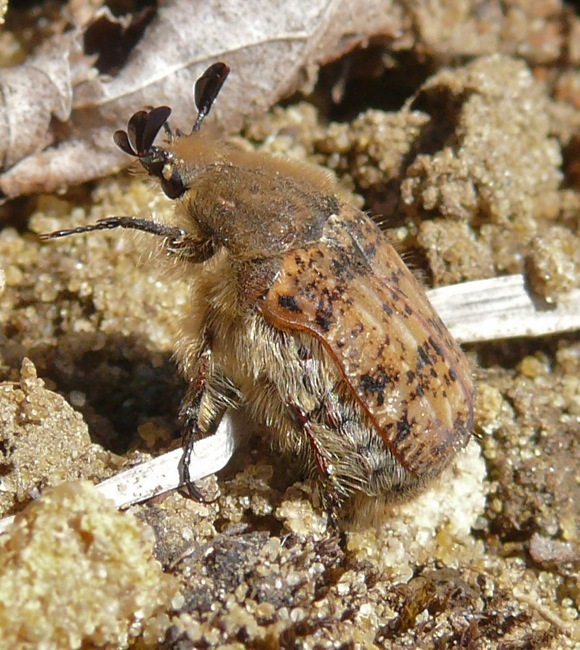 They’re large, slow-flying beetles that buzz along the ground above the remnant prairies in the early spring. They look and sound just like bumblebees until they stop moving. 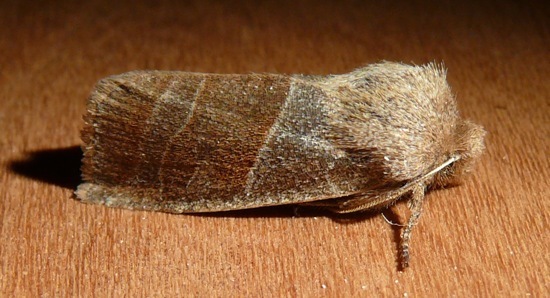 An Infant Moth. I take way too many photos of these. 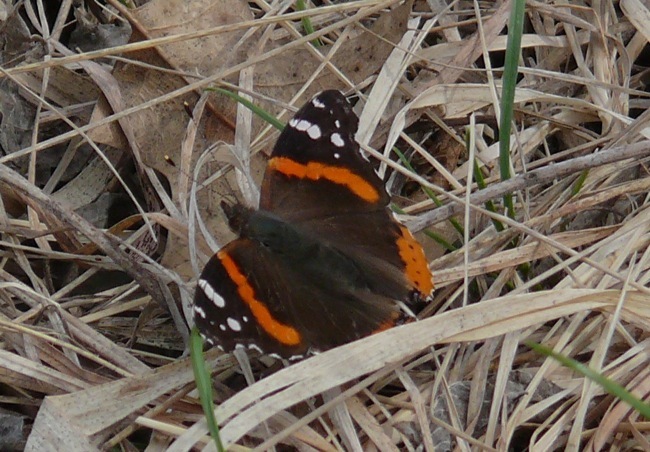 They’re one of my favorite insects: beautiful, day-flying (so it’s easy to get a good photo), and a sign that spring is here. 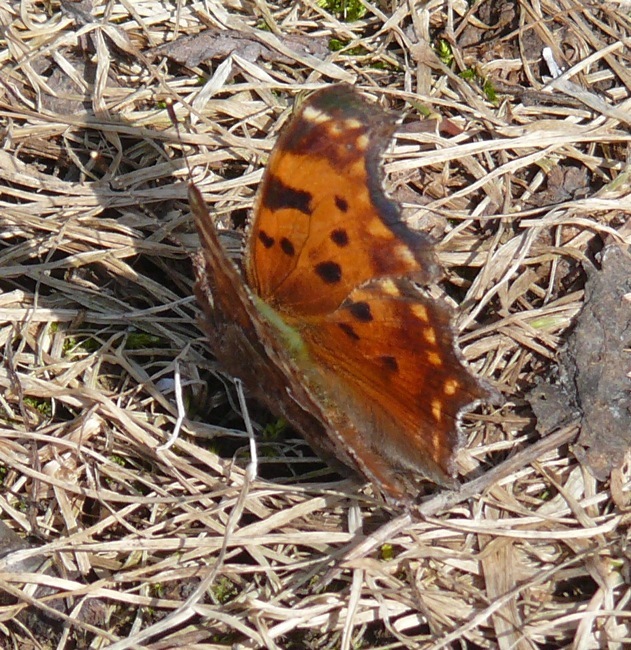 A few butterflies are starting to come out on the warm days. 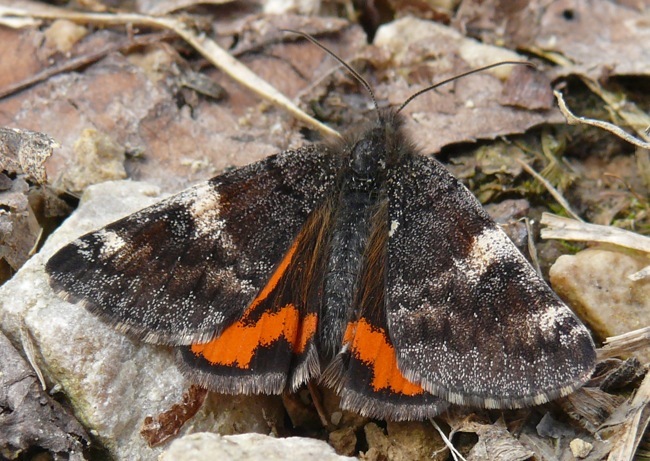 The first Red Admiral of the year. 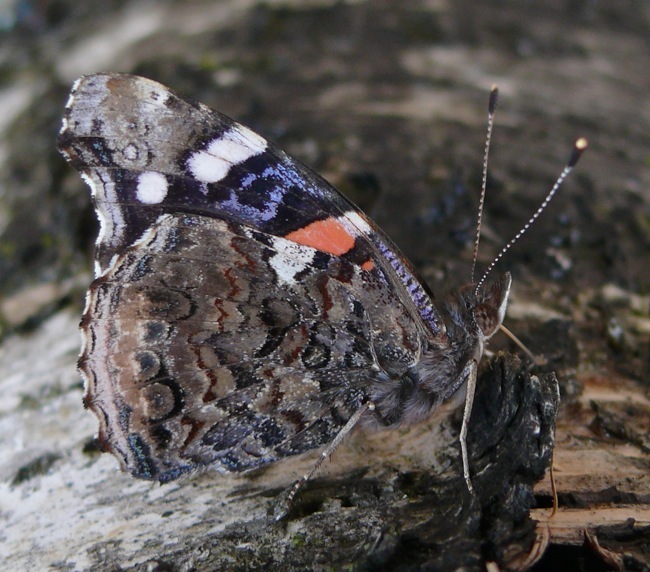 Red Admirals don’t overwinter here – they migrate up from the south every summer. This is the earliest I’ve ever seen one. It probably came up on today’s strong south winds. 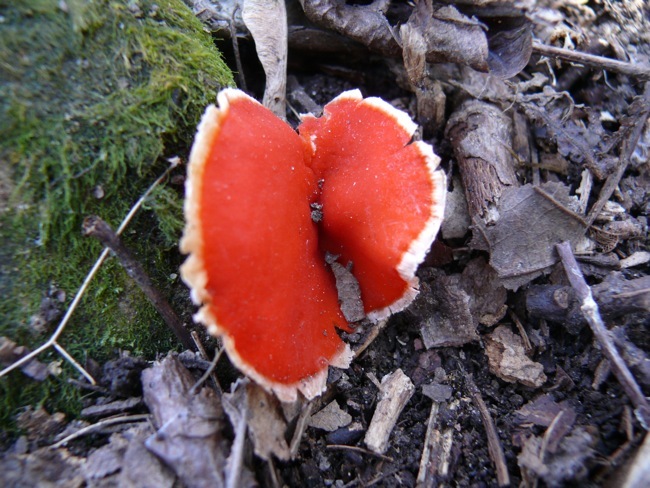 When I saw it, it was sipping sap that was oozing from woodpecker holes in an old birch tree. I’ve been experimenting with attracting moths with bait. I paint a sugary mixture – stale beer, brown sugar and overripe fruit or molasses – on tree trunks in the early evening. After an hour or so, I go back, and the tree trunks are covered with moths, sipping the bait. 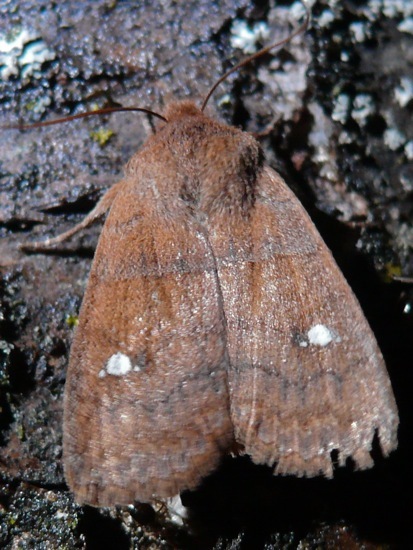 Bait works especially well in the spring when moths are mostly looking for tree sap. And on warm, humid nights. I’m having to figure out a new way of photographing – the moths flutter away when they see my light coming. But I’ve been reading Roy Leverton’s Enjoying Moths, and he suggests putting an empty pill bottle under the moth, and then touching the top of the moth. It works! – they drop neatly into the bottle! Then I can take them inside to photograph – cooling them down in the freezer for a few minutes to calm them down. This year the Frog Pond is full of Wood Frogs – the first year I’ve heard them there. And Spring Peepers started calling there a few days ago – another first. 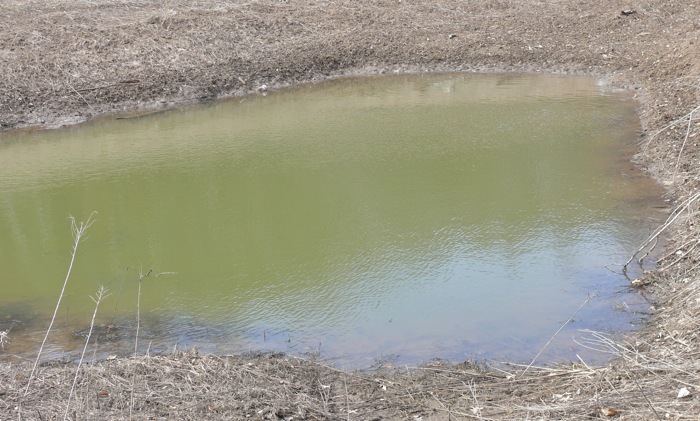 It looks like a completely uninteresting, sterile pond, but the frogs seem to like it. 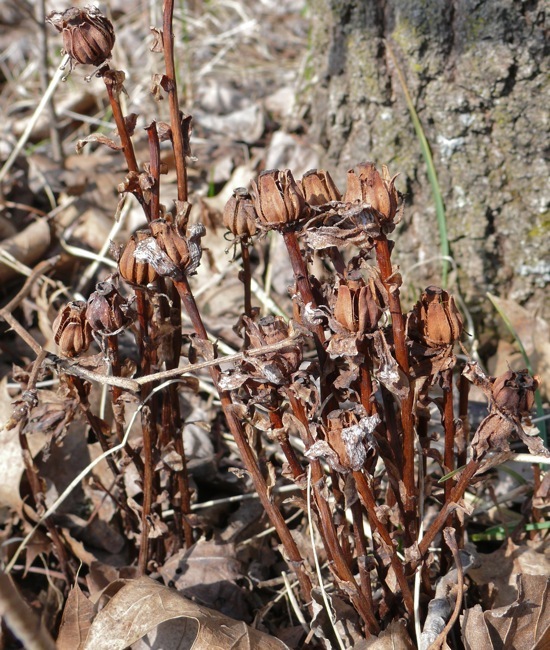 As I was walking along the edge of the woods – looking for Garlic Mustard – I found some clumps of Indian Pipe seed pods. I’ve only seen Indian Pipe growing here a few times, and never in this spot. Indian Pipe is saprophytic – it doesn’t photosynthesize – it lives by taking its nutrients from dead plant material. It’s flowers, leaves and stalks are completely white – very ghostly looking. 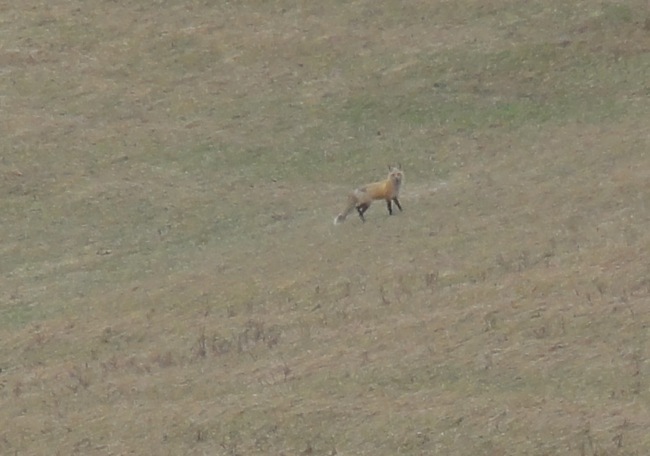 And one of the best sightings of the week – a Red Fox! 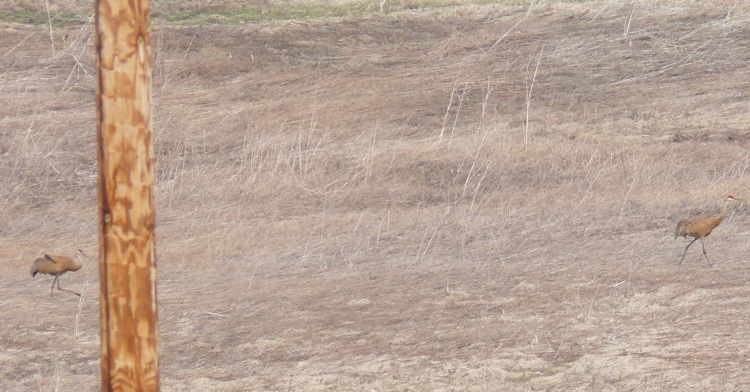 We’ve seen red foxes here, but not often, and we’ve never gotten a photo before. This was taken from a long way away, but at least it’s a photo. It’s a good thing that Mike always carries his camera.